"Dr. Rosen is the best physician I have ever had the pleasure of dealing with. I sought help and relief for my chronic migraines since 2007 from a number of physicians. Finally I heard about Dr. Rosen and he has literally saved me." "Dr. Rosen is the best!" "Dr. Rosen is excellent. His manner is wonderful, easy to talk to, very knowledgeable. I'm very happy he's my neurologist." "If Dr. Rosen's office were closer to my house, I'd love it if he were my primary care physician. He's the best!!" "Really listens to his patients & takes the time to understand medical history & develop a plan with actionable follow up." "I would love to recommend Dr Rosen to anyone but be is so busy and is demand, that many people prefer not to wait months for an appointment with a new doctor." "l love Dr Rosen. I think he is a great Doc." "Dr. Rosen is the best. I have been seeing him for 10 years." "I was very happy with Dr. Rosen. It was easy to talk to him, and he understood my migraine problem, and gave me suggestions. #3. EXCELLENT. " "I highly recommend Dr. Rosen to others!" "Excellent physician. Very knowledgeable about my health issues including research & new medical drug advancements. Always responds to questions in patient portal within 12-24 hrs." "I have never found a more caring and kind doctor." "Doctor Rosen is, without a doubt, the best doctor I have ever experienced. He is knowledgeable and caring. He spends time with me, is up to date in all latest meds and treatments. After seeing many others, he is the only doctor who has truly helped me." "Dr. Rosen is an excellent physician. He is up on all new treatments and shows concern for all conditions I have, not just migraines." "Love and trust Dr Rosen that my daughter is also in his care." "I have told everyone who ever needed a neurologist to see Dr. Rosen. absolutely. he is the embodiment of what a genuine and compassionate physician should be. he has helped me on my journey over the years to improve my condition dramatically. I will only see him and I trust him to inform me and guide me. I am grateful that my colleague referred me to him. changed my life!" "Dr. Rosen is the best! " "I've been coming to Dr. Rosen for many years. He is the only dr. I trust and that understands my needs." "Dr Rosen is a caring man." "Amazing - Best dr. After seeing other neurologists he identified my problem." "Dr. Rosen was exceptional. I have already recommended him to two friends." "Dr Rosen spends an amazing amount of time providing information and is very supportive"
"Very happy to have found Dr. Rosen." "I am so grateful that Dr Rosen spent an extraordinary amount of time on my appointment. I've never had a specialist take such an extensive history and be so thorough." 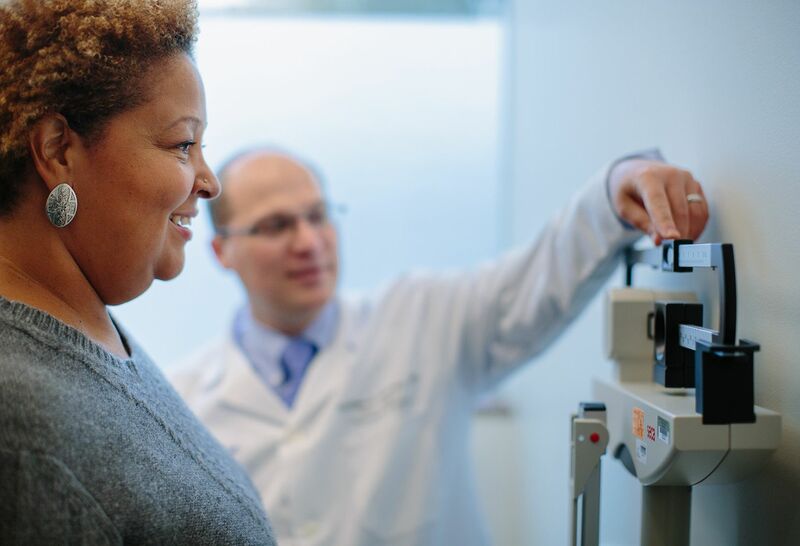 "Dr Rosen is the best but my only hesitation in recommending him is that it takes so long for a new patient to get an appointment with him because he's so good." "Dr. Rosen is a highly intelligent doctor. The best neurologist for headaches. Seeing him for many years follow ups to his initial helping cure my migraines! " "Dr. Rosen is knowledgeable and current on what is new in the field. He is extremely thorough and answers all questions without making you feel rushed." "Dr. Rosen exceeded my expectations." "Dr. Rosen is extremely knowledge, professional, and friendly! I trust him completely for handling my headache problems." "Dr. Rosen has always had a solution for my migraines. Whether it's an increase in medication or even more so trying a different medication. I was never told there is nothing else we can do for you." "Dr. Rosen is the best doctor I have had in any speciality." "Dr. Rosen is the type of physician everyone hopes for I have seen 7 neurologists in the past 3 years since my migraines started. Dr. Rosen is #8. He is very thorough and spend time listening to me. He answered every question and explains everything to me! I feel I am in good hands with Dr. Rosen." "Thank God for Dr. Rosen. His knowledge, and compassion has given me hope. " "Dr. Rosen was amazing - very concerned - treated me as an individual - attentive. " "Dr. Rosen is excellent on all of these points." "only issue is excessive waiting time. the doctor is excellent and a personable individual." "He is a wonderful kind & caring physician! Most knowledgeable! For headaches anywhere!! 7. ALWAYS EXCELLENT. " "This provider takes the time to answer all questions and concerns and knows my health history well." "Dr. Rosen is definitely the ONLY benefit that comes from having chronic migraines. I couldn't ask for a better, more empathic or knowledgable physician. He is such a wonderful doctor." "great experience. very caring dr."
"I have been going to Dr. Rosen for years and have even referred my own mother to see him. My condition has been improving over the years thanks to his treatment. He always takes the time to really listen and go over everything. He is a blessing to his patients. Thank you Dr. Rosen." "I sometimes think that Dr Rosen is more concerned about my health issues than I am!" "Seeing Dr Rosen is always supportive. Support this visit was in discussing organic coping means in persuit of calm and happiness. His guidance helps me take less sedatives and make better overall life decisions. He is a brilliant medical community asset." "Dr. Rosen has been very thoughtful and takes the appropriate amount of time to explain course of treatment"
"Dr Rosen was very attentive"
"I feel listened to, respected, and am not rushed." "Dr. Rosen is a dedicated doctor and reads all reports on outside care that apply to his domain." "Dr. Rosen is an excellent pain management/neurologist! My wife and I have commented numerous times that if he could be our primary care physician, we both would love it! He treats me with the utmost respect and makes me feel like a friend and not just a patient." "Dr. Rosen is an excellent neurologist. He has been treating my headaches and I am 100% satisfied with him!" "Dr. Rosen spends time to put me "at ease" and is very patient - he never rushes me." "Dr. Rosen is the best. Always takes time and explains everything clearly." "Excellent doctor. Very caring and informative." "The entire office is always pleasant." "Dr. Rosen is absolutely the best. So glad he is my doctor." "Dr. Rosen is an excellent Dr. Not only is he incredibly knowledgeable, but he is patient, kind and always thorough. I actually look forward to my appointment. He is the BEST!!!!" "I have recommended Dr. Rosen to several friends." "I often think that Dr Rosen probably cares more about my medical issues than I do. A caring and talented healthcare professional." "He is exceptional, very caring, very knowledgeable." "Dr. Rosen has ALWAYS listened to me. He understands my concerns and my personality. I travel 45 min. to see him. Very professional at all times." "Dr. Rosen is extremely knowledgeable about the type of headaches that I get. He is perhaps at the top of the profession in understanding NDPH. He also has expertise in his knowledge of headache medications." "Dr. Rosen is knowledgable, caring, and speaks to me as if we are calaborating on my care." "Dr Noa Rosen is an extremely excellent doctor." "I come from Bucks County, PA to see Dr. Rosen. He is an amazing Doctor that has really improved the quality of my life." "If I could give Dr. Rosen all 10's I would! I love this man!" "Dr. Rosen is exceptional in his knowledge and his treatment." "Sometimes I think that Dr Rosen is more concerned about my medical problems & conditions than I am!" "Dr. Rosen and staff are always concerned, polite, and treat me like an intelligent person who is part of decisions made about my own care." "Put it this way: whenever I consider moving away from NY, there are two factors that hold me back: proximity to my family and Dr. Rosen. Being fortunate enough to be cared for by a clinician like him (I work in healthcare; I know there aren't that many) is the ONLY "pro" to suffering from migraines. Since he can't clone himself, I guess teaching the residents will have to do! And God I can only imagine how embarrassed he'd be if someone were to read this to him - such a humble human!" "It always seems that Dr Rosen has always shown more concern about my medical issues that I have. That speaks volumes about his professional and personal courtesy and skill." "Dr. Noah Rosen was outstanding - Thorough listened, answered all questions, not hurried. I would highly recommend him." "I always have a good experience with Dr. Rosen"
"Dr. Rosen is outstanding on every measure." "Dr. Rosen spent 10 minutes with me because he explained that the patient across the hall was more in need of his time than I was." "In dealing with migraines it's a very difficult illness to always have under control. Add in my mood swings and it's a real challenge. Dr. Rosen accepts each challenge when it comes." "I love Dr. Rosen! He is a miracle worker. I haven't had a headache in over a year and I am FINALLY sleeping through the night!" "Dr. Rosen is the most knowledgeable, attentive, kind doctor I have ever met. He always shows concern for my health condition & answers all questions." "Dr. Rosen is the best. I would recommend him highly and I have to others." "I have recommended Dr. Rosen to many people they love him." "Dr. Rosen helped me get rid of headaches I thought I was going to have to live with for the rest of my life. I love him!" "Dr. Rosen is excellent. He had been managing my health issues for about 5 year & he is extremely competent." "I have sent family members to Dr. Rosen." "I have and will continue to recommend Dr. Noah Rosen. He is knowledgeable and truly listens to my concerns." "Dr. Rosen is excellent! Spent way more time with me than expected." "He knows who I am, he doesn't have to look in his computer to know. He tries different medications to see which would be best for me, I trust him completely." "Dr. Rosen was very nice friendly, informative." "Dr. Rosen is an excellent provider. He always takes the time to listen to all of my questions and concerns. He is also very knowledgeable about new research regarding fibromyalgia, which is the condition I suffer with." "Dr. Rosen is a wonderful neurologist." 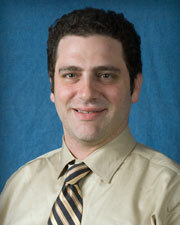 "Dr. Rosen is respectful, empathetic and displays a vast knowledge of his medical subject area. I have referred many people to him and will continue to do so because of these factors." "Dr. Rosen is always very knowledgeable & caring." Drs. Noah Rosen and Mitchell Roslin comment in this HealthDay report. Dr. Noah Rosen gives five tips for treating symptoms of migraine, one of the most debilitating forms of headache. Noah Rosen, MD, director of Cushing Neuroscience Institute's Headache Center, talks about how headaches often run in the family and is more common than we think.